The wind is wailing this evening. We've come through the first major snowstorm of the winter. Before this, it's been all rain and slush, a few small spits of snow that accumulated no more than three inches. 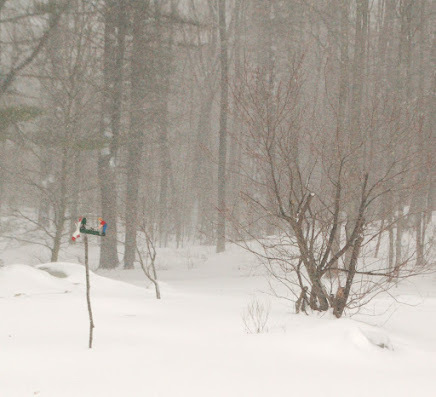 That's all very anticlimactic for a New Hampshire winter, thank you very much. If it must be cold and grey, let it snow, I say! That being said, I always like baking up a treat for hot tea when the snows hit. SB does all the shoveling and plowing, so my pay off to him is a sweet treat for his hot cuppa when he comes in to thaw out. I've been working hard on my New Year resolution to use up and not waste the food we buy, so I was looking for a baked item that would use up dried figs that I previously opened to use in a lamb tagine recipe. These little biscotti were perfect. I like the fact, too, that this recipe makes twenty crisp cookies. Small batch is definitely the way to go in the grey cottage. We do not need bunches of cookies hanging about. We eat them, after all and too much of a good thing is not where we're at these days. So ... one small tin is a perfect amount of sweet temptation for us! 1. Whisk together the flour, leavening agents, spices and salt in a medium bowl. Set aside. 2. In another bigger bowl, whip the butter and sugars until smooth and creamy. 3. Add the eggs, one at a time, whipping well after each gets added. 4. Beat in the vanilla and orange zest in by hand and then add the flour mixture. Mix by hand just until the flour is incorporated. 5. Turn in the prepared figs and chopped walnuts. Fold them through the dough until well-distributed. 6. Chill the dough for about an hour. 7. Preheat oven to 350 degrees F. Place a sheet of parchment paper on a long cookie sheet. 8. Lightly flour a rolling surface and turn the cookie dough onto the surface. Shape into an oblong 'log' and roll it until it is the diagonal length of the cookie sheet - about 18 - 20 inches. 9. Transfer to the cookie sheet. Brush with the egg white and sprinkle the 1 tsp. measure of sugar over the top surface. 10. Bake in the center of the pre-heated oven for 30 minutes. The biscotti log will be shiny and golden, but still soft at the center. 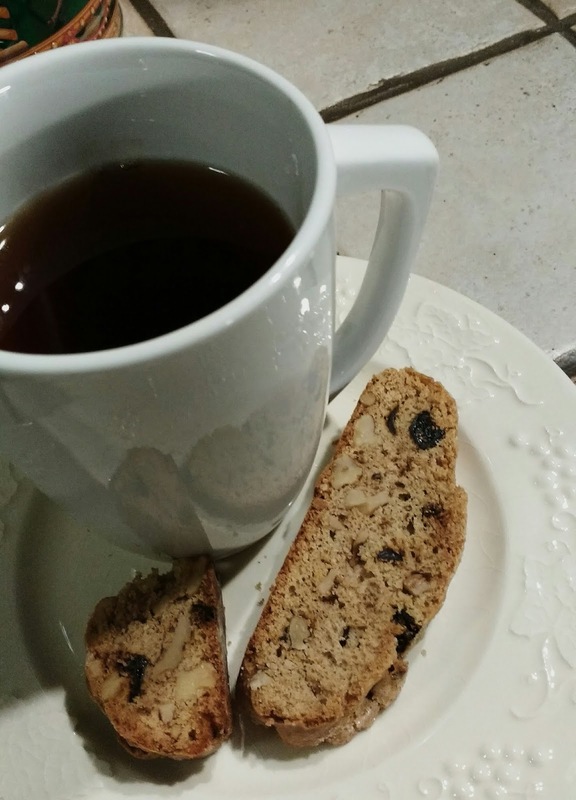 Remove and let the biscotti rest on the counter until you can comfortably handle it. 11. Slice the biscotti on the diagonal into 20 cookies that are about 3/4 inch thick. Place them back on the cookie sheet, lower the oven to 250 degrees F and bake them for ten minutes. Flip them over and continue baking for another 10 minutes. 12. Turn the oven off and leave the cookies to crisp up further, as the oven slowly cools. 13. 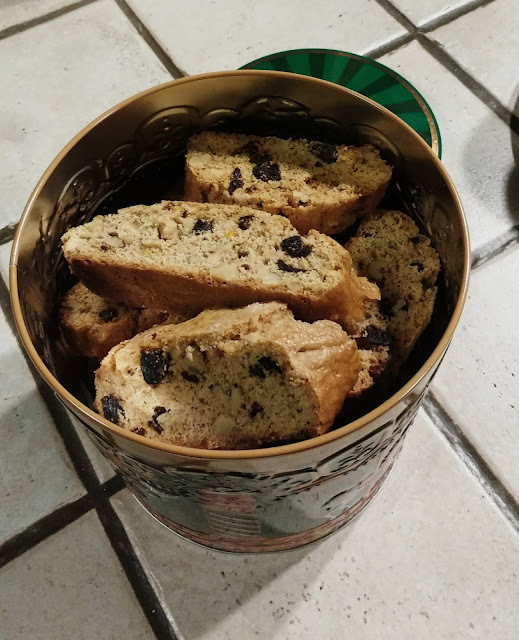 Store the biscotti in a tightly covered cookie jar or tin to keep them crisp. 14. 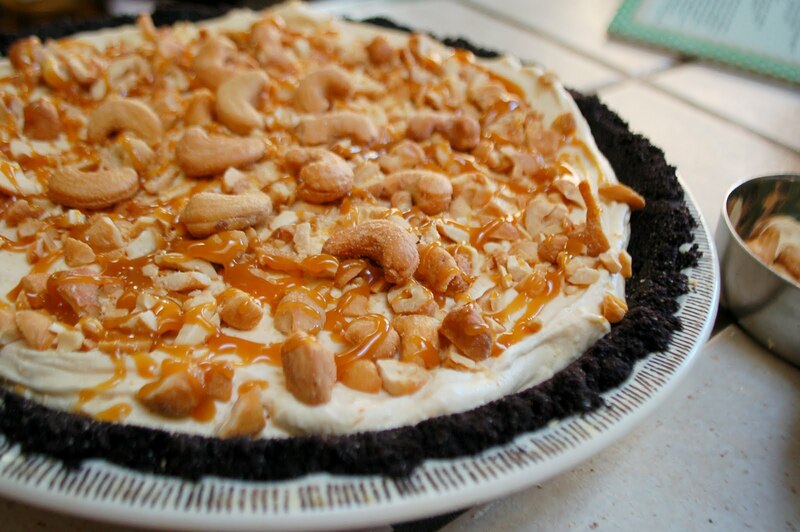 Serve with hot tea or coffee for dipping and dunking. Enjoy !